The seventh season of Arrow is winding down towards the finale. While the larger conflict between the Ninth Circle and Team Arrow plays out, it’s the battle between Oliver and Amiko that may prove to be the key. Oliver wants to redeem his half-sister, and turn her against the Ninth Circle. But as noted in last night’s episode, redemption can’t be forced on anyone. 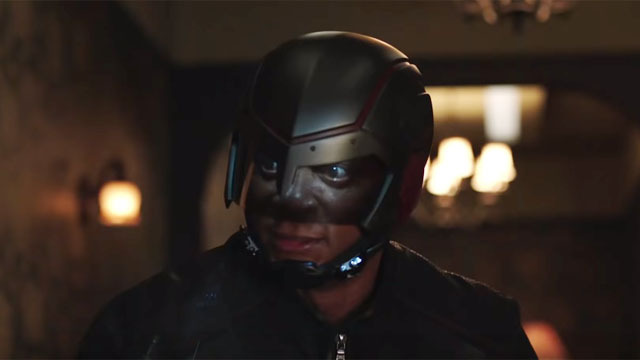 Now, in the first promo video for Arrow episode 7.19, John Diggle moves into the spotlight. The episode is called “Spartan,” and it appears to bring up some skeletons from Diggle’s past. One of those skeletons, so to speak, is played by a Ghostbuster! Ernie Hudson is guest starring as an unnamed four-star general. However, ComicBook.com is speculating that Hudson may be playing Diggle’s father. Arrow episode 7.19 “Spartan” will air on Monday, April 22, on The CW. What do you think about the new promo? Let us know in the comment section below!